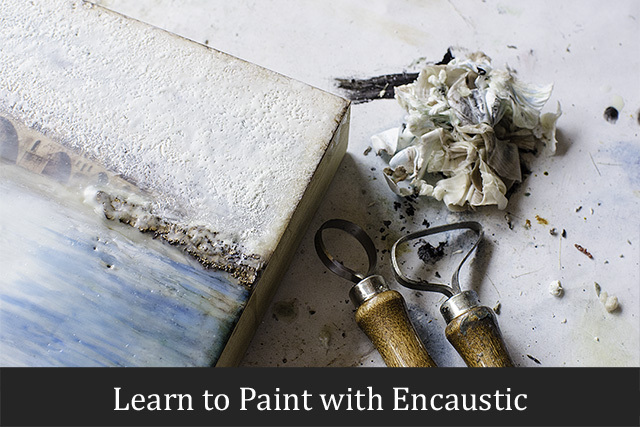 If you’re interested in learning to paint with encaustic, I am offering encaustic classes by appointment. I don’t profess to know everything about the medium, but what I do know, I’m happy to share with you. 5. Encaustic painting techniques including dripping, splattering, layering and scraping, accretion, and intarsia. I will provide the necessary encaustic materials, including a 6×6 wood panel so you can take home a finished project. If we’re covering mixed media techniques, you may need to bring additional materials. If you’re interested, please send me an email so we can work out a schedule and discuss what topics you want to cover. Payment via cash, check, or credit card is made on the day of the session.